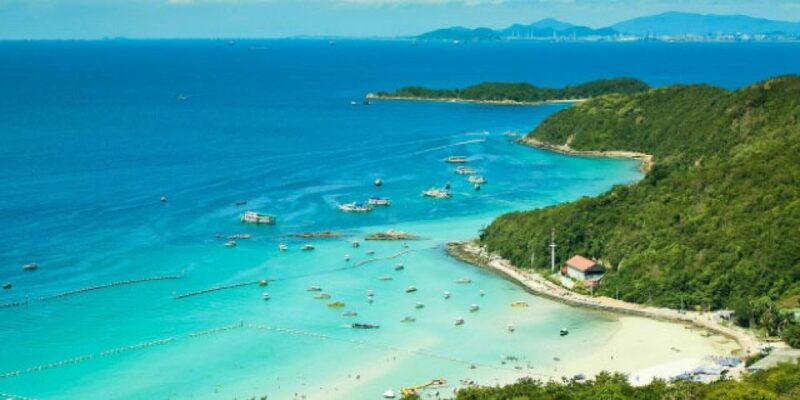 Koh Larn is a small island in the Gulf of Thailand about 7km off the coast of Pattaya Beach. The Island is about 4km long and 2km wide and at it is about 180 meters high at the highest point. The terrain is mostly mountainous which is covered in most part with heavy vegetation. Infrastructure is mainly narrow roadways covered with brick pavers. Some of the roadways are very steep and only wide enough for two motorbikes to pass by each other, but most roads are suitable for regular traffic. Koh Larn has six main beaches and a few smaller beaches for visitors to enjoy. All the beaches are of white sand and clear blue waters. There are many water sport activities at each of the beaches. There are also many other activities such as parasailing for you to enjoy while visiting Koh Larn. All the beaches have full facilities such as bathrooms and showers. Then there are the restaurants that serve up delicious fresh catch of the day seafood or just about any other dish you may desire. You can choose to order your meal in the restaurant or straight from your beach lounger. Yes, a day on Koh Larn can be a very relaxing experience, with the gentle sounds of the ocean and without all the noise of the city. There are many resorts on the island of Koh Larn, they range from budget rooms to luxury accommodations one of the best is Suntosa Resort. 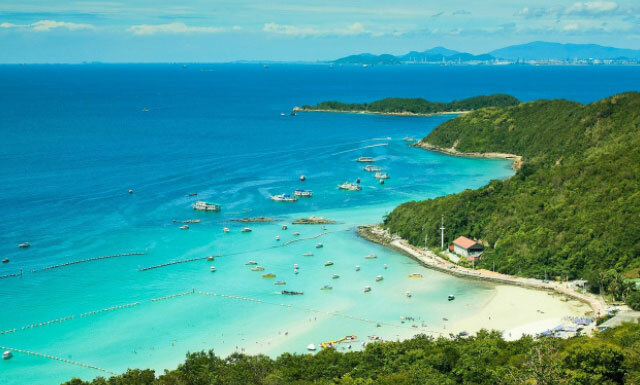 While room rates are a little higher on the island than in Pattaya or Jomtien it is well worth the experience of spending the night on the island of Koh Larn. Some people like Koh Larn so much they end up staying there for extended periods like months and years.